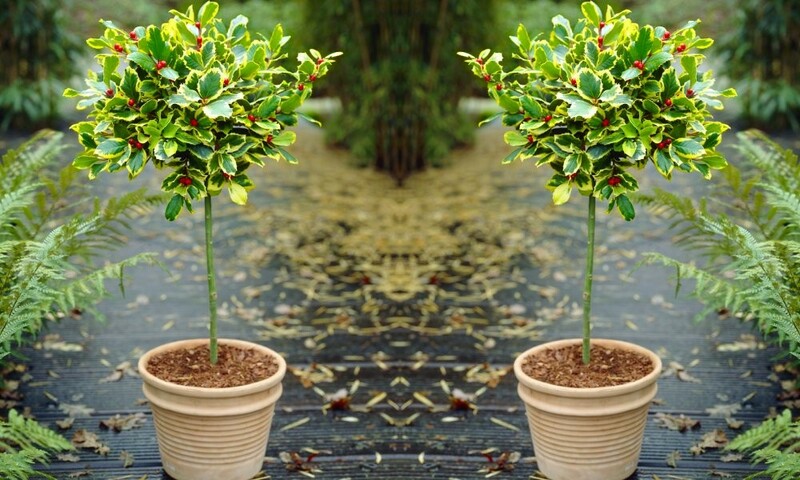 These beautiful standard Holly trees have lovely dark green foliage edged with a bright wide golden margin, making a stunning addition to any patio. Perhaps use flanking a front door to make an inviting entrance to your home, or use standing guard and paraded either side of pathways. They can of course also be planted around the garden. Supplied with a clear stem, topped off with an attractive lollipop head, often displaying seasonal berries. 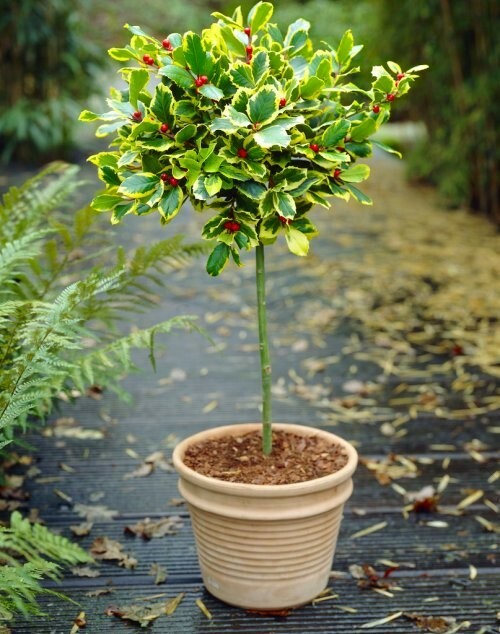 The overall height of these gorgeous holly plants including planter is around 90cms. Pair of Ilex Golden King standards, around 90cms (3ft) tall.